Israel Redux: The Image of Christ in the Gospel According to John (Part IV) | Theopolis Institute | Bible. Liturgy. Culture. John 18 and 19 record the arrest, trial, torture, and death of Jesus as laid out in detail in Isaiah 53. After the Roman soldier pierces Jesus’ side, John quotes Zechariah: “They shall look at him whom they pierced” (Zech 12:10). In terms of historical scope, the period of the Latter Prophets extends from the pre-exilic period (Isaiah, Jeremiah, et al. ), to the exile itself (Ezekiel), to the post-exilic period of rebuilding the temple, Jerusalem, and the nation (Zechariah, Haggai, Malachi). Congruently, Christ’s suffering and death in John 18 and 19 parallels the Fall of Jerusalem, destruction of the temple, and Judah’s national “death” in exile (whereas John 20 parallels the remnant’s return from exile, resulting in national resurrection and a rebuilt temple). In addition to Latter Prophets’ parallels, might there also be an overlay of narrative parallels in the Writings? John quotes from Psalms when the soldiers divide Jesus’ garments and cast lots for his clothing, when Jesus is given wine vinegar to drink, and after his death, when not one of his bones is broken (Pss 22:18; 69:21; 34:20). Psalms is the first book of theWritings, the last portion of the Hebrew Bible. In The Songs of Jesus, Tim Keller writes that the Book of Psalms is “what Luther called a ‘mini Bible.’ It gives an overview of salvation history from creation through the giving of the Law at Mount Sinai, the establishment of the tabernacle and temple, the exile due to unfaithfulness, and it points us forward to the coming messianic redemption and the renewal of all things.”In terms of historical scope, Psalms encompasses the entire history covered by the Hebrew Bible. Hence, John quotes liberally from the Psalms throughout his Gospel. Proverbs, the wisdom of God “appointed from eternity, before the world began” (Prov 8:23) now culminating in its life-giving fullness as “Christ…the wisdom of God” (I Cor 1:24). “Whoever finds me finds life…” (Prov 8:35). Job, the greatest example of undeserved suffering in the Hebrew Scriptures: “Though he [God] slay me, yet will I hope in him” (Job 13:15). Song of Solomon, the poem of love becoming flesh, the throbbing heart of reality: “Place me like a seal over your heart… for love is strong as death… like the very flame of the LORD.” (Song 8:6). Ruth, the book in which a foreigner claims Israel’s God and is grafted into the Messianic family tree: “Your people will be my people and your God my God” (Ruth 1:16). Lamentations, where God crushes the Jewish nation for its sins: “All the splendor has departed…” (Lam 1:6). “My sins have been bound into a yoke…they have come upon my neck and the Lord has sapped my strength. He has handed me over…” (Lam 1:14). Ecclesiastes, where the grave has the last word for all “life under the sun” (Eccl 9:2-3). Israel has seemingly perished as a nation. The Jews have lost their land, and they seem forsaken by their God who gave them their identity—Ezekiel 10 and 11 report the glory of God abandoning the temple. Israel, God’s firstborn son, is dead. The exile is Israel’s grave. Jesus’ death on the cross made it appear that God had forsaken him. But Jesus rises from the dead, reflecting the next book of the Writings: Esther,the story of Israel’s miraculous eleventh-hour rescue from its second death—total annihilation in seemingly Godforsaken exile—and the infinite future of Israel begins. In Esther, Israel survives. Daniel prophesies Israel’s return and everlasting future. Ezra and Nehemiah chronicle Israel’s rising. In John 20, the destroyed temple rises. Christ’s resurrection is the beginning of the Messianic kingdom prophesied by the latter prophets and Daniel, and reflects the rebuilding of the temple and Jerusalem spoken of by Ezra and Nehemiah. Chronicles tracks the story of the Southern Kingdom of Judah as opposed to the apostate Northern Kingdom of Israel that has risen up in rebellion against the house of David (2 Chr 10:19). In Chronicles, Judah with its capital Jerusalem constitutes the Jewish remnant with true faith, drawing out priests from the Northern Kingdom and Levites who abandon pasturelands and property there to follow the Lord in Judah (2 Chr 11:13-14). Unique to Chroniclesis the declaration that David’s throne is the throne of the Lord (1 Chr 28:5; 29:23; 2 Chr 9:8): Judah represents true Israel (2 Chr 13:4-12). N.T. Wright writes that Israel’s prophets expected that God “might act in a new way to call from within exilic Israel a remnant, perhaps even a remnant of one, through whom he would deliver Israel…The early Christians believed that this was what had just happened in and through Israel’s Messiah, Jesus.Seen in that light, John 21 parallels Chronicles: Chronicles tracks the surviving remnant of true Israel (Judah) who represent the whole nation, whereas John 21 chronicles the surviving remnant of one (Jesus) who represents the whole nation. Chronicles is the epilogue of the Hebrew Scriptures. It’s a double ending: Chronicles comes on the heels of Nehemiah (who has just rebuilt the walls of Jerusalem, signifying Israel’s national resurrection from the dead) and Ezra (who rebuilt the temple); the Jews have returned from exile, the story seems finished. Yet then comes Chronicles, recapping true Israel’s entire history from its very beginning, starting with Adam(! ), to end—again—at the rebuilding of the temple. C.H. Dodd and R.E. Brown point to John 21 as the Epilogue of John’s Gospel.John 20 reads like it’s the end (with John stating that he didn’t write down everything Jesus did). But then comes John 21, recapping Jesus’ entire ministry from the beginning by once again calling Jesus’ true disciples out of their old life as fishermento end again with a similar statement that John didn’t write down everything Jesus did. 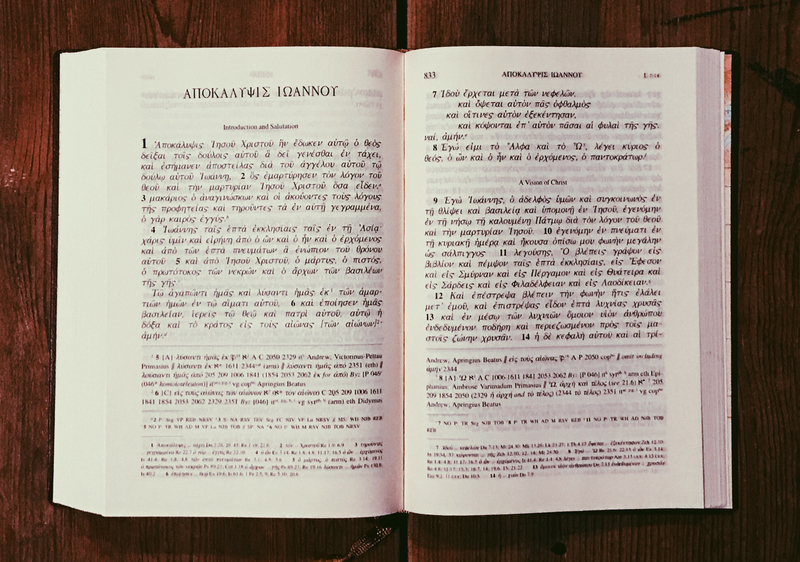 Could the double ending of John’s Gospel mirror the double ending of the Hebrew Scriptures? Consider the final words of Chronicles: it’s the Great Commission of the Hebrew Scriptures, a proclamation of Cyrus, king of Persia, commissioning the Jewish exiles to go and rebuild the temple in Jerusalem. (Note that Isaiah called Cyrus a messiah, the Lord’s anointed (Isa 45:1) when Isaiah prophesied that God would use Cyrus to rebuild the temple). The Hebrew Bible concludes with the commissioning of God’s people to arise and rebuild the temple. In John 21, the rebuilt temple himself commissions Peter to gather God’s people. The Hebrew Bible ends as John’s Gospel does: with the restoration of God’s temple which reflects a renewed relationship, the goal of history, God with his people. Jesus as the personification of Israel is not John’s construct. In Exodus 4:22, God calls Israel “my firstborn son.” In Deuteronomy 1:31 and 8:5, Moses refers to God and Israel as father and son. In Hosea 11:1, God says of Israel: “…out of Egypt I called my son.” Isaiah 63:16 and 64:8 refer to God as Israel’s Father. Isaiah 49:1-7 first speaks of Israel, the servant of the Lord, and then of a servant other than Israel (verse 5-6) who will bring both Israel and Gentiles back to God.And while Isaiah 53 speaks of Israel, it also describes the last hours of Jesus. The many and the one exchange. John’s final words are that he didn’t write down everything Jesus did, that there is more. Much more. John focuses on events that show the life of Jesus as the incarnation of the Hebrew Scriptures: from the exodus to the exile and the destruction and rebuilding of the temple, the entire story of Israel has been recreated, reconciled, and redeemed in her Messiah. It’s a compositional strategy that reveals John’s holistic understanding of Jesus, and guards against remaking him into our own image—to loosen Jesus from the Hebrew Bible is to set the image of Christ adrift in cultural winds. In addition, awareness of John’s moorings disrupts anti-Semitic readings and instead makes the Fourth Gospel a bridge to Judaism in whose Scriptures it finds its logos. Timothy Keller, with Kathy Keller. The Songs of Jesus. (New York, NY: Viking, an imprint of Penguin Random House LLC, 2015), viii. Esther is the only book in the Hebrew Bible in which God is never mentioned, giving the appearance that God has forsaken his son Israel in exile. Yet the orchestration of events in Esther proves that the opposite is true. Ellicott, Commentary, 1 Chron. 28:5. Note the virtually identical miracle of a large catch of fish at Peter’s initial calling in Luke 5.Moreover, Jesus’ “Follow me” in John 21 is the same in Greek as his “Follow me” in John 1 when he originally called fishermen to become disciples.